Snap Inc. wants the ad dollars of smaller businesses, not just giant brands. So today it’s launching its new self-serve ad manager for buying video Snap Ads. There’s also the new Snapchat Mobile Dashboard for tracking campaigns from your phone, and the Business Manager site for configuring the roles and permissions of team members. These tools will roll out in June to everyone in the U.S., U.K., Canada, France, Germany, Australia and more. Until then, they’re in testing with a set of more than 20 businesses, though other companies can apply to be testers too. Digiday reported last month that the self-serve tool was coming. 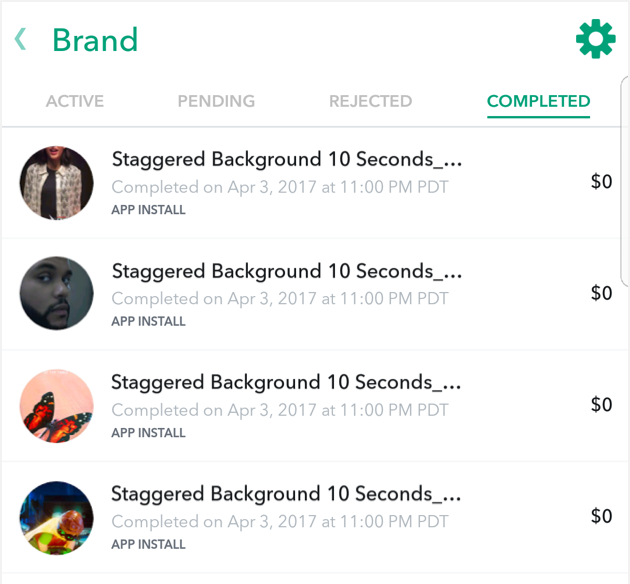 Until now, you could only buy Snap Ads through Snap’s sales team or third-party ad tools built on the Ads API that often charge a fee. The self-serve ad manager will be free with no mark-up. Broadening the range of advertisers it accepts could help Snap boost its revenue at a critical time for the startup. It’s about to have its first earnings call next week after going public in March. But slowing user count growth due to product changes and competition from Facebook’s apps means it may need to rely on revenue growth to wow Wall Street. The question will be whether smaller businesses can create compelling video ads for Snapchat’s unique vertical video format and fickle teen audience. Unlike running Google AdWords, AdSense or Facebook’s image and link-based ads, creating polished video ads is much harder for small-to-medium businesses on a short budget. Ad Manager – Buy, manage, optimize and view reporting on campaigns for all Snap Ad types, including video, app install, long-form video and webview. Organize targeting capabilities, goal-based bidding for swipes or installs and assets like video creative or audience lists like emails and mobile IDs. Snapchat Mobile Dashboard – View and share ad creative as it will be seen by Snapchat users, review live campaign performance, edit and pause campaigns and receive notifications about key metrics from within the Snapchat consumer app. Business Manager – Configure roles and permissions for ad team members, change billing contacts and manage different ad accounts. There are a few things missing that I could imagine Snap adding into these tools. Right now you can’t buy Sponsored Geofilters or Lenses through the Ad Manager, though there’s a separate self-serve geofilters tool. It’s not simple to do advanced A/B tests comparing different campaigns. And both the Ads Manager and Business Manager could one day jack into your other business software. Next, I’d expect Snap to launch a business education campaign to teach merchants how to make Snap Ads. Many company owners probably wrongly assume that they need a big following on Snapchat to make it work for them, or that it’s still just a toy for kids. Others might need help learning how to shoot eye-catching video that users won’t just skip. But any business, big or small, that wants to reach teens, might need to get up to speed. App Annie says that 35 percent of Snapchat’s daily users can’t be reached on Facebook on a given day. That percentage rises to 46 percent on Instagram, and 61 percent on YouTube. Snap’s distinct and coveted audience might compel businesses to get with the times.